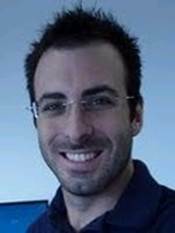 Fabio Poiesi is a Postdoctoral Research Assistant at Queen Mary University of London (UK) working with Prof. Andrea Cavallaro under the ARTEMIS project COPCAMS (COgnitive & Perceptive CAMeraS - copcams.eu). He received his Ph.D. in Electronic Engineering and Computer Science from Queen Mary University of London in 2014. His research interests are video multi-target tracking in highly-populated scenes, performance evaluation of tracking algorithms and behaviour understanding for the analysis of human interactions in crowds. Journal of Real-Time Image Processing, Springer, DOI: 10.1007/s11554-014-0428-8.